Hi friends, I have a fun new product to share with you today! We’ve been loving our Kwik Stix paint pens by The Pencil Grip and now they’ve come out with a thinner version. Since we’re all about art supplies over here, I wanted to give them a try. The Thin Stix are about half the width of the original sticks which make them a little easier to use for writing and a bit more detail. 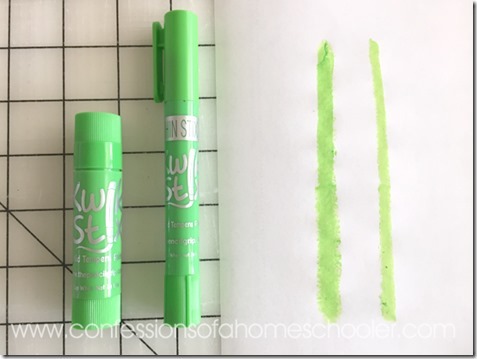 My older daughter does a lot of art work and she would have liked them to be even thinner, but I’m not sure if that’s possible with the product itself. We still like the regular sticks for covering larger areas, but these are a nice addition when you’re going for a little more detail in your artwork. 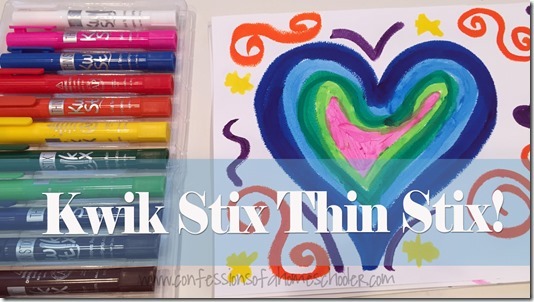 If you aren’t familiar with Kwik Stix they’re actually paint in a stick. So they glide on really smoothly, and can be blended somewhat as well. They go on wet, but dry within about 90 seconds which is nice. And one thing that that I definitely appreciate is that they come out in an even amount. So you don’t have any large globs of paint like when working with paint and brushes. 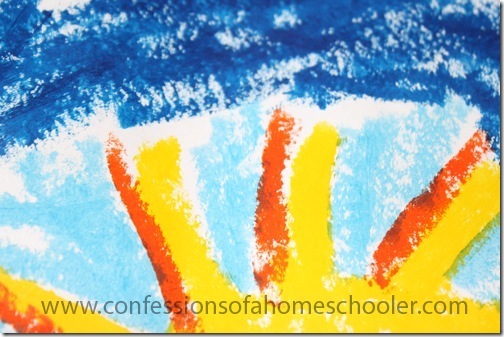 We found that they work best with thicker, painting paper as opposed to regular copy paper. 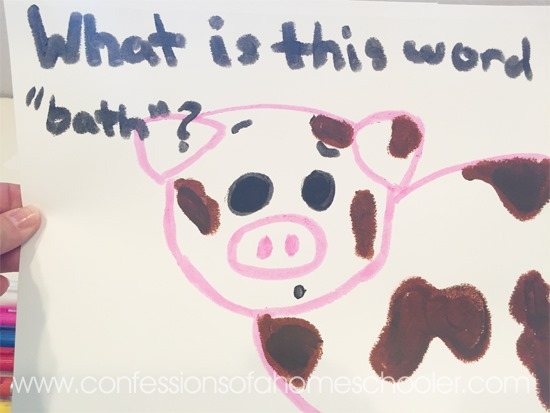 Since they are wet, they do act just like paint and can soak through thinner paper. Hopefully you can see in this close up that they dry with a rather interesting texture to them as well. They kind of remind me of an acrylic paint. There is also relatively no mess with these unless your kiddos decide to color on something other than their paper! And they come in a lovely variety of colors as well. 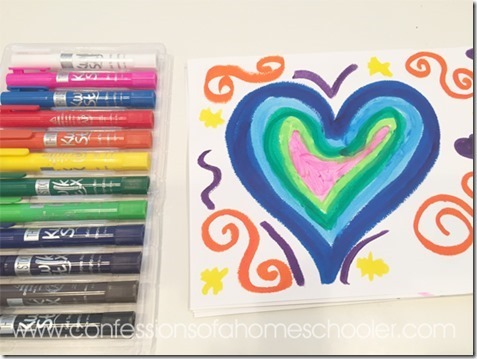 I think these are the a great idea especially for younger kids who love to paint! You can get Kwik Stix online here, and I’ve also seen them in Target stores as well! Want to win a set for your family? 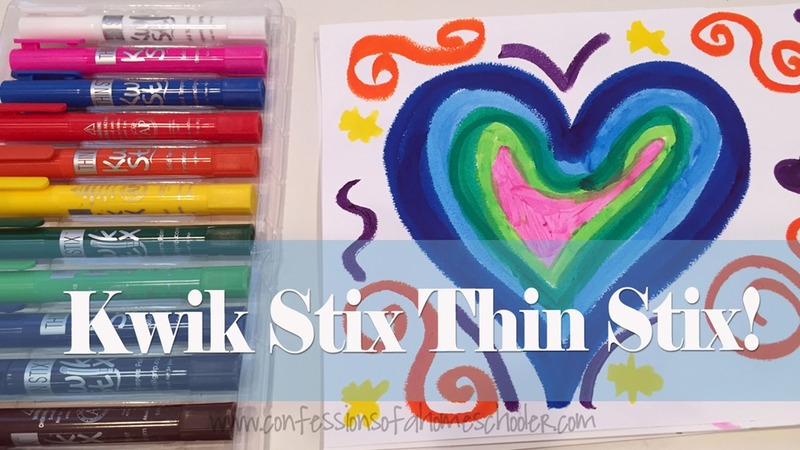 The Pencil Grip is hosting a giveaway for a 12 pack of their new Thin Kwik Stix to one of you! Just enter below! Disclaimer: I received these products in exchange for review on my blog. The opinions expressed on my site are my own, and were not influenced by the company or free product provided. Love this idea! Can they be purchased in stores or only online? I wish they had these when I was a kid! These would make our art class so much easier; since we have a rambunctious cat who loves to be a part of everything our son does, we’re afraid to use paint pots for fear of spills and kitty footprints all over (and paint brushes are chew toys to kitty, too). Since these contain the paint and dry so quickly, we could actually get a painting done without mishap! 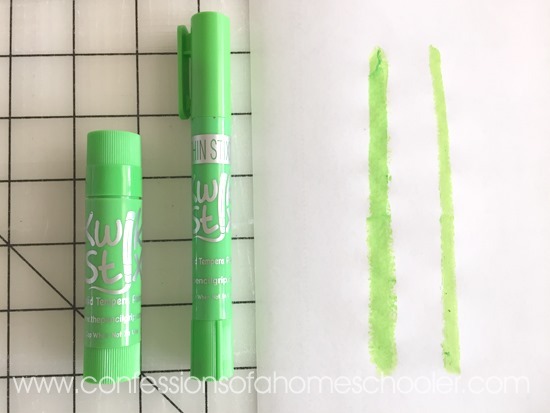 I would love to give these a try for my wiggly boys who enjoy coloring and painting. I love Kwik stix. 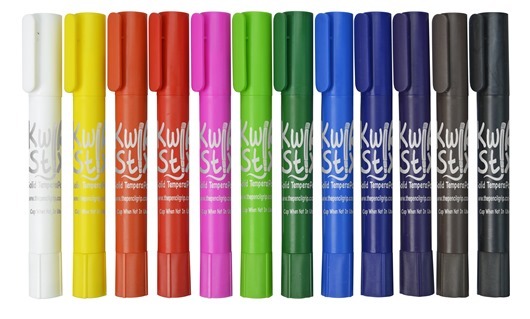 We have the chubby ones but these thin ones would be great to have as they seem like they can do more fine lines for artistic work! These look like fun. Like we need more markers!!! Yes please! We would love these! We love arts and crafts at our house – these would be great! We just bought the thicker ones for Christmas and my kids love them. I didn’t know they came in thin…my kids would love the this version! My kids always want to use paint and I hate it because it is always a huge mess! These would solve that problem and make all of us happy. I would even use them for my preschool group because they would be able to easily use them and not go home covered in paint. These look great! 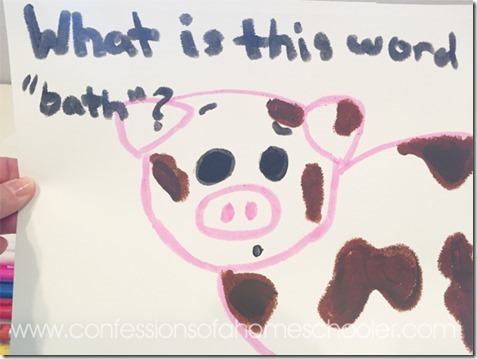 This would definitely be a welcome addition in our homeschool art time…which is basically all the time. 😃 Thanks for doing another giveaway and keeping us informed of the neatest items!